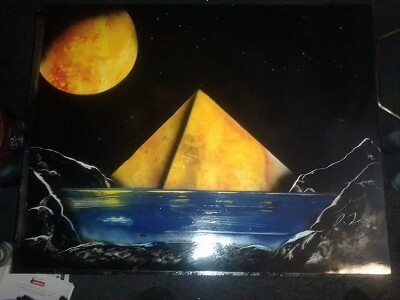 I spent around 45 min creating this spray paint art piece . 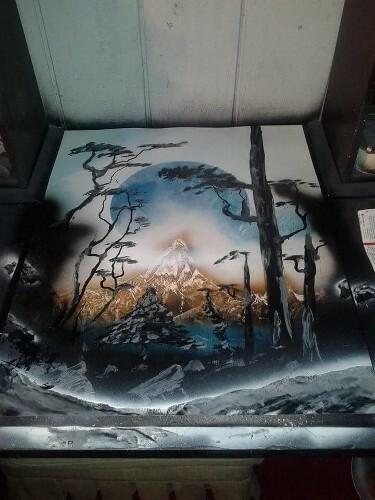 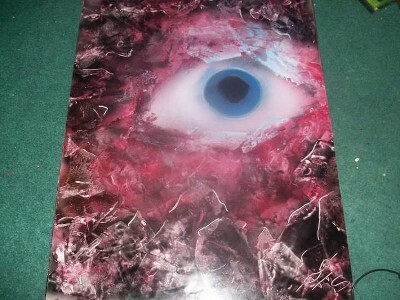 I spent about 50 min making thus spray paint art piece . 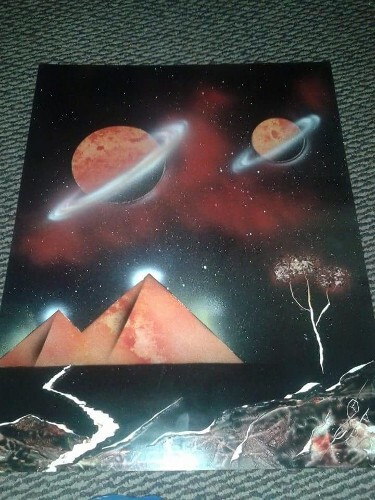 I spent around 1 hour creating this spray paint art piece . 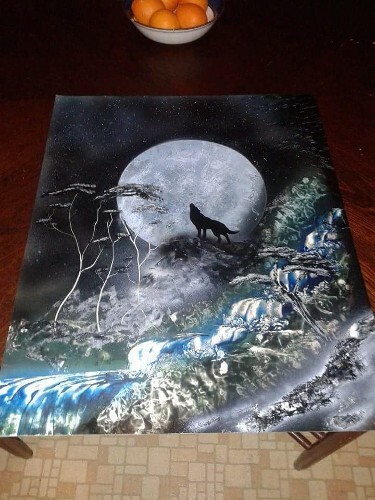 I spent about 45 min creating this spray paint art piece. 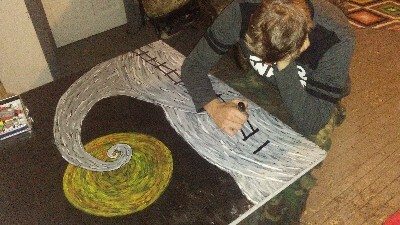 I have recently spent over 5 hours with this free hand painting and I am currently still working on it. 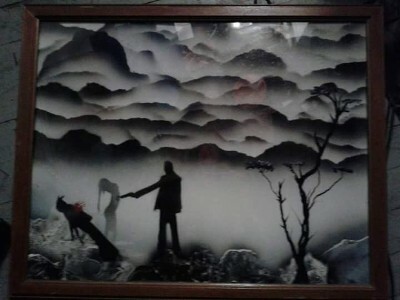 I spent around 1 hour creating this art piece. 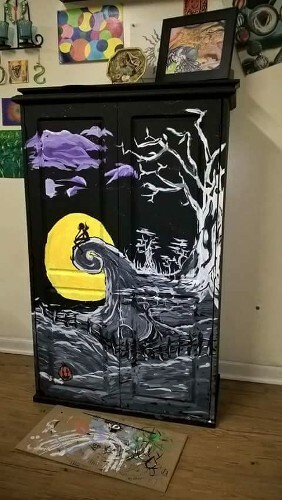 I spent around 8 hours free hand painting this nightmare before christmas cabinet.